Full Value Entertainment - Live bands, DJ's and special event planning. Serving the Temecula Valley and Inland Empire since 1999. 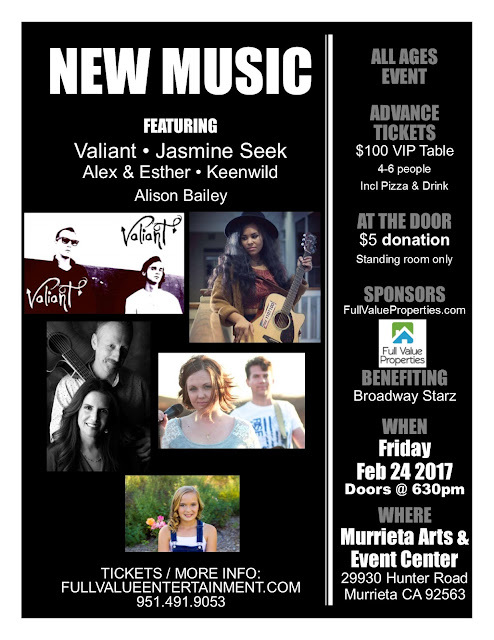 New Music Night, produced by Full Value Entertainment, featuring many original compositions by the area's top songwriters. This is an intimate all ages venue, with limited seating. We suggest buying a VIP table for the best seats in the house. VIP tables seat 4-6 people and are $100, include great seating near the stage - with pizza and drinks. General admission tickets are standing room only and $5 (no food or drink). The end of April weekend music line up! Great weekend of music coming up! This coming weekend at The Lighthouse in Canyon Lake we have two wonderful acts - Friday night, 4/22 – Harmony Road and on Saturday night 4/23 – Mary Loyd. Music starts at 7pm, there is wonderful food and drinks available with no cover charge! You can get the most up to date info on our concert series at The Lighthouse in Canyon Lake by visiting 'The Lighthouse' tab on this site.